Antique Dining Tables | Browns Antiques Billiards and Interiors. 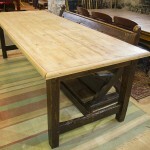 Please browse our range of antique dining tables for sale. We specialise in large dining tables, and usually have antique refectory dining tables and antique farmhouse tables in stock. 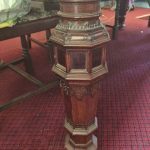 Please contact us if you cannot see the size you require, as we have several dining tables that are awaiting restoration. 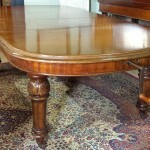 We also specilaise in antique snooker dining tables in sizes from 6ft to 9ft long. Antique pine dining table with darker base. Almost 8ft. B277.